According to traditional Jewish reckoning the world was created in the year 1 HH (Ha'luach Ha'ivri), which is to say roughly 3761 B.C.E. by our current calendar. Contemporary Jews are divided on this question due in part to current scientific theories and our well known intellectual curiosity. Solid points can be made on all sides of this debate. We won't go into this issue here, however according to traditional calculations this means that the subject matter covered in the Bible covers a span of around 5775 years and counting. That's a long time! Kingdoms, religions, customs, calendars, languages, technologies... far more has come and gone than we realize ever existed, even with our most advanced historical investigations! So its only logical to ask: Can we be certain that what we believe today is what was originally believed when the various revelations were being revealed? In fact we can be absolutely certain the opposite is true! Our beliefs reflect our own times, experiences and understandings just as theirs reflected theirs. This is not the same reality they lived in! This is how it should and indeed must be. Change happens and time moves on. Societies both advance and decay. The past, by virtue of being the past, is neither superior nor inferior to our current realities. That was then and now is now. For HaShem time is One. Our aim should not be to mimic the beliefs and customs of ancient cultures but to re-discover the timeless truths contained within those experiences and manifest them harmoniously with our experiences in light of the timeless truths of Torah. Doing this of course is the cause of most of the disagreements we find between the Jewish movements! Where should the lines be drawn? Who has the authority to decide? To update halacha and our understandings? Ultimately you and I decide how we will live our Torah observance. Perhaps we can agree that as Jews (or Noahidim) our goal should be to live Torah observant lives in terms of our present realities and understandings, not to slavishly conform to the norms of previous cultures. Perhaps we choose to live Torah NOW. At best we could only imitate those who came before us anyway. No, we want real experiences with the Living God, not to pretend to be what we are not! Not to be chained to passe notions devoid of current meaning. This requires sincerity, balance and emuna (active faith). "No sophistication is needed in serving God - only simplicity, sincerity and faith. Simplicity is higher than all else. For God is certainly higher than everything else, and God is ultimately simple!" HaShem has arranged things so that throughout our generations there have always been tzadikim (righteous people) to guide us. Throughout our generations HaShem has spoken to us as individuals, as families and as a people. Baruch HaShem! He has never left us without knowledge and the ability to draw nearer to Him. How can we remember/learn the lessons of the past? How can we know what our ancestors did and believed? How can we observe the Covenant HaShem made with them and through them with us? We have the Tanach (the Hebrew Bible) and other sacred writings and traditions. Jews have historically been referred to as "People of the Book" for just this reason. We prize learning and study very highly. Balance and reason with simplicity are essential. We study these documents, we prayerfully ponder their teachings, we carefully consider the understandings our sages drew from these vast waters... and then we calm our minds and apply them according to our own times and circumstances. Everyone should set himself a daily program of Torah study. It works. We still survive and thrive. "For The Bible Tells Me So..."
Since the Scriptures are so central to our Tradition we need to determine their reliability. Its too easy to say "God said it, I believe, that settles it" as some do. As anyone knows who has seriously studied the history and transmission of the Bible its not that straight forward. We believe the Torah we have today is the same Torah that was revealed to Moshe Rabbeinu (which is number 8 of Rambam's Thirteen Principles of Judaism), but this belief needs to be based on fact not religious blind faith... and it is! IF we study Torah carefully with the insights we glean from the Tzadikim. Even if one has perfect faith that every verse in the Bible was originally directly spoken by God and written down perfectly by inspired scribes (which the Bible nowhere teaches by the way) still one has to deal with the conflicting manuscripts and obvious scribal errors in the present versions. Nothing is to be gained by wearing religious blinders and pretending the Bible we have today is "inerrant" and identical to the original manuscripts (NONE of which exist today). We need to understand the Book as a book even as we view it as holy writ. How can we expect others to honor Torah if we don't seriously study it ourselves? T: The Torah or "Teaching." Torah in this context refers to the Five Books of Moshe/Moses (Genesis - Deuteronomy). N: The Nevi'im or "Prophets." Biblical Hebrew has no vowels so the two "a" vowel diacritics are added for pronunciation (and sometimes written as dashes below the Hebrew letters T-N-KH). The name Miqra means "That which is read." The entire Tanach or Miqra is sometimes referred to as "the Torah" because it is all accepted as inspired teaching (although not as "God-breathed" in every instance outside of the Five Books). Properly speaking however Torah is the "Pentateuch": the five books of Moshe Rabbeinu. Torah (the Five Books) is not the only inspired writings, but it is the foundation of the rest. The Tanach is one, but it is rightly understood in its traditional divisions: The five books of Moshe Rabbeinu should be called "Torah" and the biblical Hebrew cannon ("Old Testament") as a whole should be referred to as "the Tanach" This avoids confusion. The Tanach is not "Old" (i.e. passe or replaced by something "new"), it is alive and fully relevant. Torah is the "Mind of the Echad Elohim (the One God). The Teaching is revealed in various ways. While Torah is the Five Books it is much more than that. Torah is the revelation of Ain Soph (i.e. the Eternal). Torah is eternal. The Hebrew Bible has weathered the storms of time amazingly (miraculously) well. Its purity of transmission over thousands of years testifies that HaShem has preserved it and that we can have confidence in it. But what does it teach? In the beginning when Elohim (God) "SAID Let us make..." this Word was a reflection of Eternal Torah. The Oral Torah has existed as a reflection of Eternal Torah since the very beginning of time. Both the Written Torah and the books of the Oral Torah such as the Talmud, Mishna etc. reflect this timeless Wisdom or Mind of HaShem, and yet Torah is more than these. In order to preserve and promulgate the instructions of the Oral Torah these truths were eventually written into books, complete with rabbinic commentary (which sometimes works well and sometimes leads to further confusion as these sages do not always agree). According to the rabbis, the Written and Oral Torah were transmitted at the same time to Moshe Rabbeinu (i.e. 'Our teacher Moses') -- although the Oral Torah was one of the first things created by HaShem and predates the Written (i.e. Genesis - Deuteronomy) which was not revealed until Moshe Rabbeinu reached Mount Sinai. The "Mind of God" or Eternal Torah is revealed through the Oral and Written Torah. The Oral clarifies the Written Torah and in some cases brings us to deeper levels of truth. These levels must always be harmonious with the Written Torah. Where the Written Torah leaves words and concepts undefined, where it orders various observances without giving explanation or instructions on how to properly conduct them, we seek guidance from the Oral Torah and the various supplementary teachings of the sages and rabbinim. Observe the Shabbat commands the Written Torah, how to do this is largely found in the Oral Torah and supplemental texts. The same is true with many topics. We have been given a vast library of Torah knowledge to guide us! The term "Talmud" normally refers to the Babylonian Talmud, although there is also an earlier collection known as the Jerusalem Talmud. 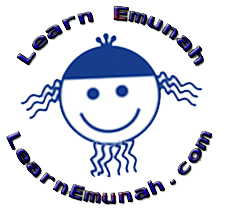 The Talmud is composed of the Mishnah (Hebrew: משנה, c. 200 CE): The written "Instruction" or "Teaching") and the Gemara (c. 500 CE), a clarification of the Mishnah and related writings. The complete Talmud consists of 63 tractates and is over 6,200 pages long. It is written in Tannaitic Hebrew and Aramaic. It contains the wisdom thousands of rabbis on innumerable subjects. To help Jews better understand the sometimes rambling Talmud, the Rambam (Maimonides) produced the Mishneh Torah, subtitled the Sefer Yad HaHazaka (ספר יד החזקה "Book of the Strong Hand"). This work is the Code of the Jewish Law (Halacha). The Shulchan Aruch by Rabbi Yosef Karo in 1563 essentially sought to clarify the Mishna Torah and to present a practical guide to daily Jewish life. Rabbi Schneur Zalman of Liadi (i.e. the first Lubavitcher Rebbe) authored the Shulchan Aruch HaRav and the Kitzur Shulchan Aruch was written by Rabbi Shlomo Ganzfried. Originally the Oral Torah was passed down from teacher to student orally however during the Babylonian captivity concerns began to arise about the purity of its transmission. Following the fall of Masada in 71 CE this knowledge was written down and preserved as the Jerusalem and Babylonian Talmuds. We have a very large religious and legal library. Despite this, Torah is One because HaShem is One. Sometimes the Spirit of HaShem will speak to an individual, grant blessing or insight. This too arises from the Eternal Torah. "Moses received the Torah from Sinai" (Avot 1:1). Yet there is an ancient tradition that the Torah existed in heaven not only before God revealed it to Moses, but even before the world was created. The apocryphal book The Wisdom of Ben Sira identified the Torah with preexistent personified Highest Wisdom (1:15, 26; 15:1; 24:1ff. ; 34:8; cf. Prov. 8:22;31). In rabbinic literature, it is taught that the Torah was one of the six or seven things created prior to the creation of the world (Gen. R. 1:4; Pes. 54a, et al.)." The Talmud reveals a great diversity of information derived from the Eternal Oral Torah and the experiences and revelations of the elders of Jewish people since our beginnings. Adam knew the Oral Torah, Avraham Avinu knew it, as did Moshe Rabbeinu, who specifically received it at Mount Sinai along with the Written Torah. The Oral Torah has been with the Hebrew people since the beginning and abides with us still. It is the principle nutrient that waters the root of our tree. This knowledge was eventually written down, edited and codified by Jewish sages as the Talmud, the foundation of Rabbinical Jewish Law and belief. From these records we have the traditions, customs, apologetics, and wisdom of the ancients that forms the heart of our sacred Tradition. There are several elements of Judaism drawn from these oral traditions. For instance the Bible does not tell us to wear a kippa (yarmulke: skull cap) although the principle of head coverings is certainly there. This tradition comes from the Oral Torah. The Bible tells us to wear tzitzit (fringes on four cornered garments) but does not tell us to wear the tallit (prayer shawl) they are attached to. This is Tradition. The Bible says to mark our door posts with the words from Deuteronomy 6:4-9 and 11:13-21 but it does not describe the mezuzah that contains the scrolls, how to post it (the angle used) etc. This knowledge comes from tradition and is explained in Talmud. The Written Torah tells us to remember and observe Shabbat but it is the Oral Torah that reveals how to do this. There are many things we draw upon the Oral Torah for. Without these traditions Judaism would have little of its form or beauty. The Written Torah is divided not only into the Five Books and their traditional chapters and verses, but also into parashot or weekly reading portions. Utilizing the prescribed parashah readings the entire Torah is read by religious Jews once each year from Simchat Torah to Sukkot. The day after the conclusion of Sukkot (i.e. the Feast of Booths or Feast of Tabernacles) is known as Simchat Torah ("Rejoicing with/of the Torah"). This celebration marks the conclusion and beginning of the annual Torah reading cycle. Torah is the heart of biblical religion and the weekly parashah readings are a key way we connect with the Torah and its Author on a consistent basis. Simchat Torah celebrates the centrality of the Torah and is a component of the Biblical holiday of Shemini Atzeret ("Eighth Day of Assembly"), which follows immediately after the festival of Sukkot. For more information on Jewish holidays see my study Which Holidays Should We Observe? Chabad offers the current parashah reading schedule as well as interesting commentaries on them (click the second link from the top on the left for the "Current Parsha"). There are also additional traditional readings. Have you seen Fiddler on the Roof? This is a wonderful example of the importance of Jewish tradition. Tradition is how the Jews have survived as a people for all these years. We study and prayer and study and we look to HaShem with emuna standing always on our traditions. Tradition is central to our religion and to our lives as Jews. Its importance can not be overstated. Watch the song "Tradition" from the movie below. Note the many elements of tradition present as Tevye sings about his emuna (faith) in our Traditions. Fiddler on the roof - Tradition (with subtitles).